I haven't been out much lately to look for birds but a few days ago I spent a few hours at Strumpshaw Fen on a glorious, sunny day. 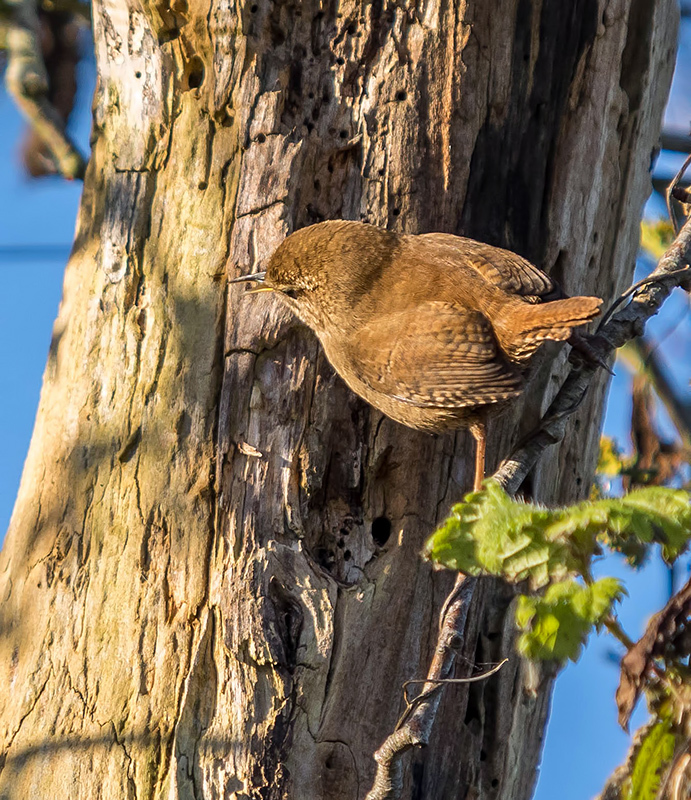 The Wren was searching for food on a tree trunk and, unusually, was not flitting about too much. The Common Snipe was sunning itself at the water's edge right in front of me but was so well camouflaged that I didn't spot it for several minutes. 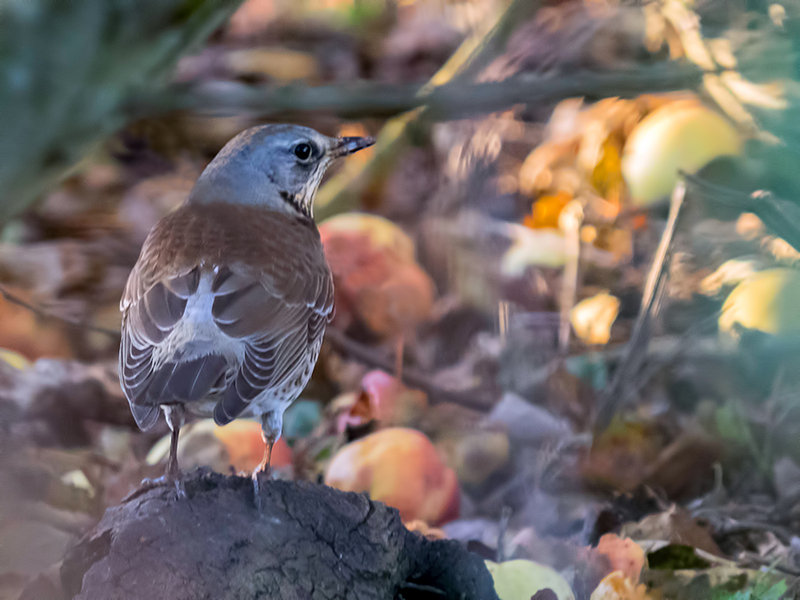 There was a lot of fallen apples in one of the hedges and several birds were making the most of them, including this Fieldfare. I was getting quite frustrated, poking my lens through the tangle of twigs and branches and this is the clearest view I had of it. E-M1, 50-200 SWD and EC-14. 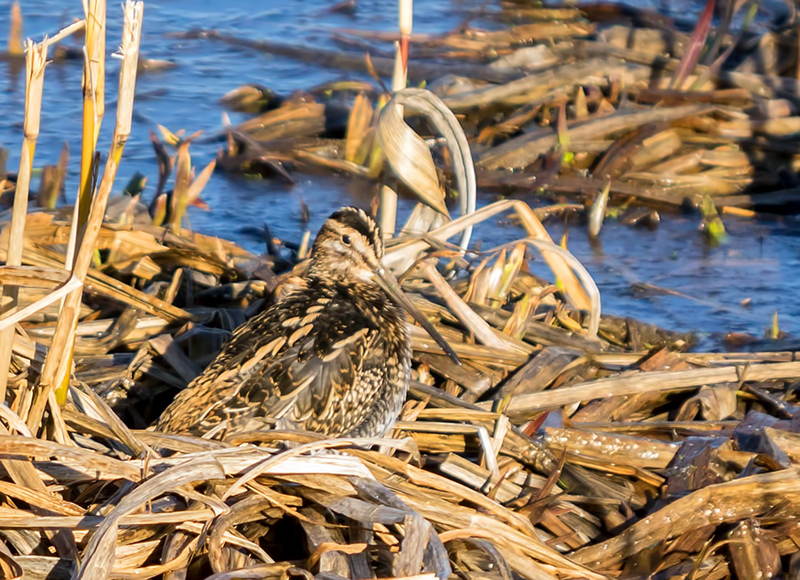 Yes, Snipe are really good at hiding in plain sight. I had a similar situation in one of the hides on the docks at Seaforth, Merseyside. You had some nice light. 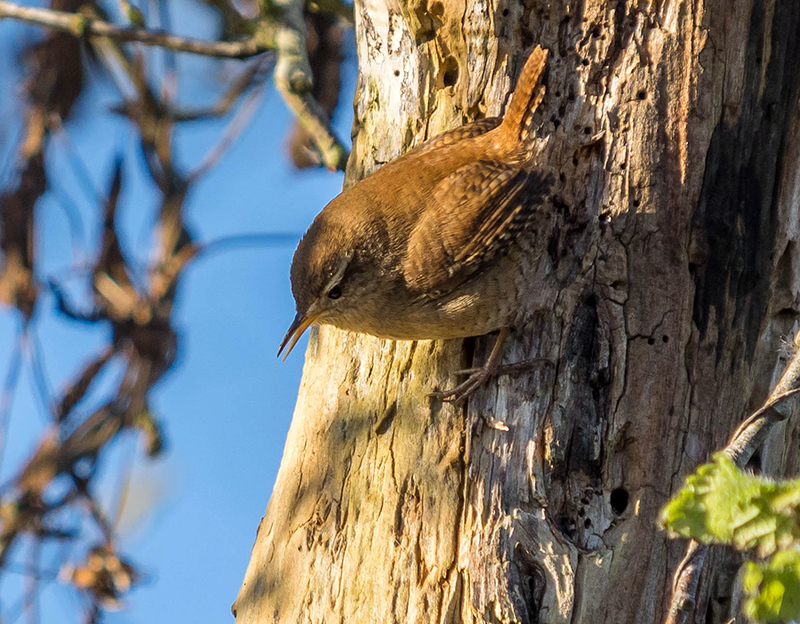 Lovely to see them enjoying the sunshine, and the bonus of a still wren!